How Many Valuables In Your Shed or Garage and their Cost? Here I take a look at the best alarms for sheds. 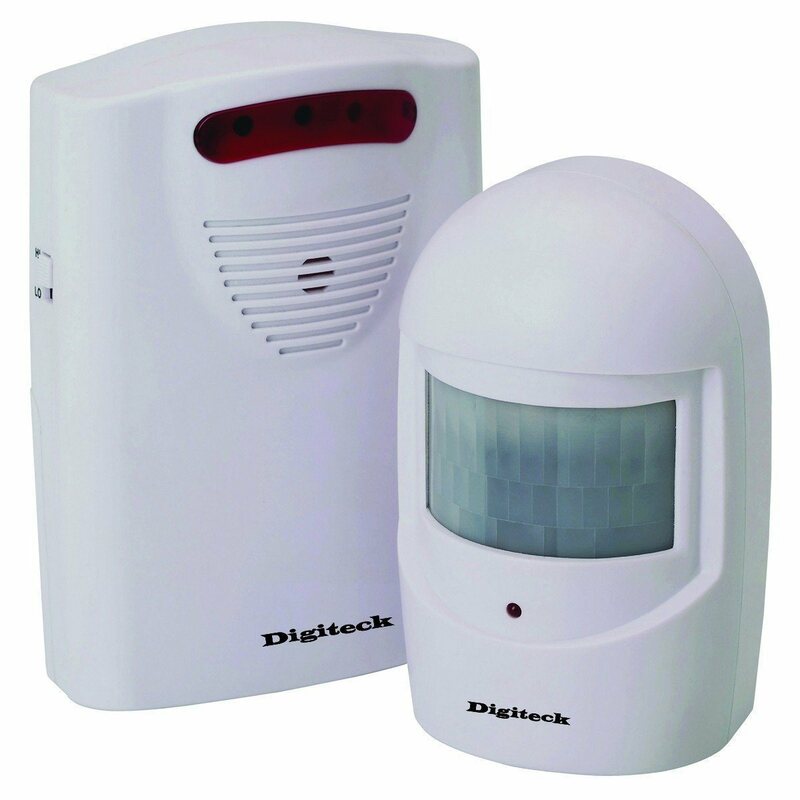 These type of alarms would also be suitable for caravans, garages and any type of external building. There are certainly plenty to choose from. Some of them are crazy money, but thankfully some of them are well priced. I have put together some shed alarm ideas below. 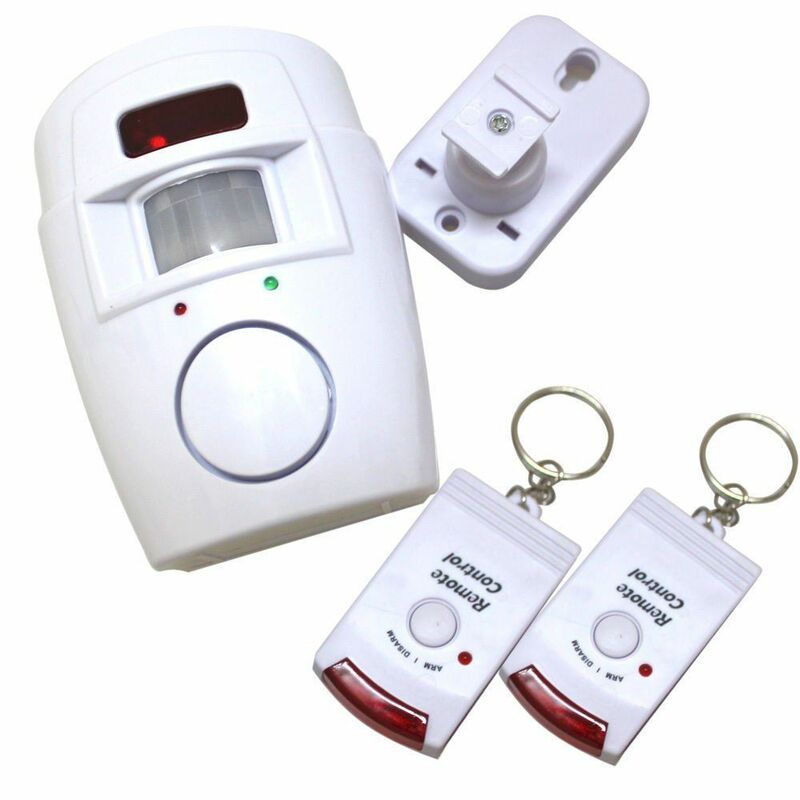 You will however need to pick the alarms that will do the specific job for you. That means you need to work within your budget, but at the same time, get something that gives you peace of mind. You will be glad to know that the ones I have picked will all cost less than £20. Have you ever thought about just how many valuables you have stored in your garage or shed. Many people keep their car in their garage. That alone justifies spending a few pounds to fit some type of alarm. However, car aside, have you ever thought what else is in your shed or garage. Now I know that some people will also have their washing machines, or perhaps a fridge/freezer in there. Those two items alone are close to £700-1,000. Yet again it is worth spending £20 on even a basic shed alarm just to give you some peace of mind. I did a quick check on my own gardening tools and found a couple of spades, a fork, edging tool, shears, strimmer, hedge clippers (2 sets), lawnmower, pots and a range of other small accessories. It doesn't take much to quickly add up to a lot of money. These are certainly worth protecting from thieves and burglars. We would of course also advise strongly to make sure that you have good locks on your garage shed door. We have written a full article on the best locks for shed doo﻿﻿rs . Below you will find a choice of alarms that will help protect your garage or your shed. In some cases you may want to protect both of these premises. I have sorted these by the highest rated first. Those ratings are from actual buyers over at Amazon in the UK. 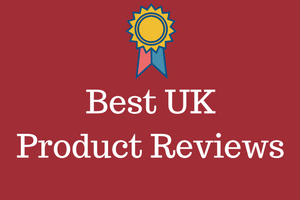 These people have bought and used the products and also taken the time to leave a review. The only thing you need to determine is what level of security you want, and how many of them you will need. It is worth noting that almost all of them are battery powered, wireless and easy to fit and install. Most household content insurance policies in the UK do not actually cover good stored in a shed or garage. You can of course have these added to your insurance policy for an additional charge. Be very careful though if you are considering doing this. The detail as always is in the small print. Many insurance companies will want to know what type of security those premises, like a shed or garage may actually have. They would recommend special types of locks and some may even insist on some type of approved alarm system. It is worth making the phone call to find out how to cover off anything you may have stored in your shed or garage. I think you will agree that there is some useful advice offered in this video. Shed break ins are on the increase so it is worth taking as many precautions as you can. Fitting good padlocks and good alarms makes a great deal of sense. Some owners prefer the idea of a shed alarm with an external siren. In essence they want something that detects motion, and then triggers a loud siren. The noise from that will almost always send thieves running for the hills. It may also annoy the neighbours if it triggers when cats or dogs go by, so that is always worthwhile bearing in mind. The best way to avoid that is not to use a motion sensor and use a door contact instead. 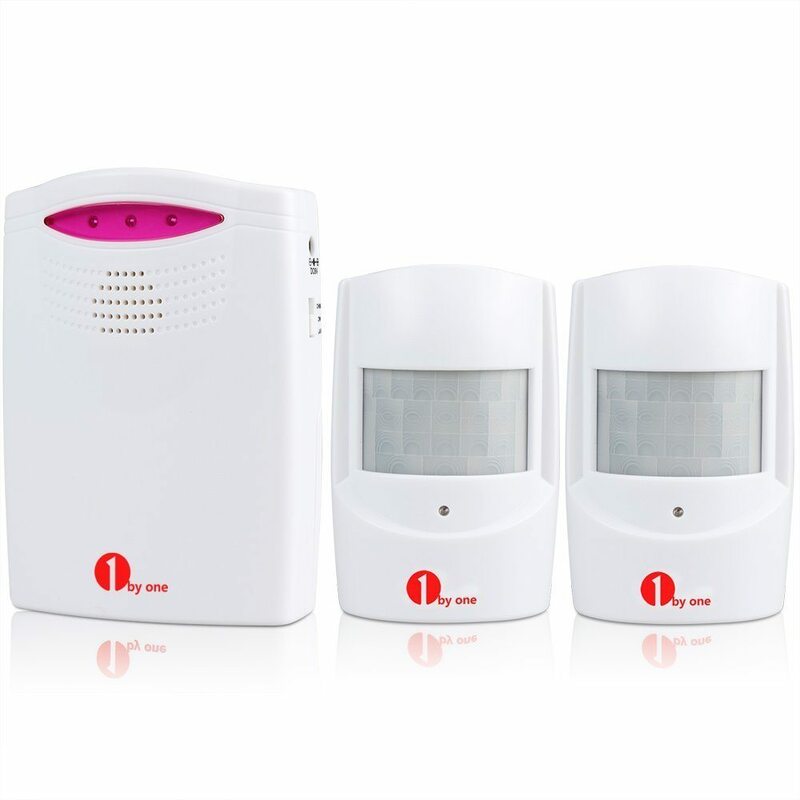 The one that seems to get the best buyer reviews is the KERUI Standalone Home Office Shop Garage Security Alarm System Kit. A long name I know, but it gets good buyer reviews and is priced at under £30. 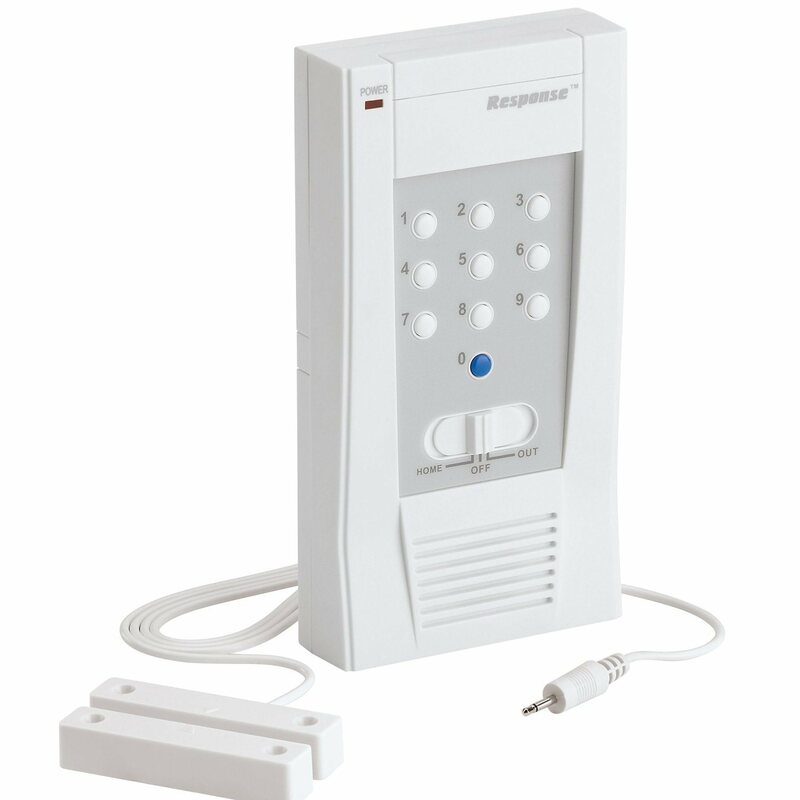 The door alarm uses remote controls to set security code for arming/disarming. The kit has a programmed main unit and sensors. 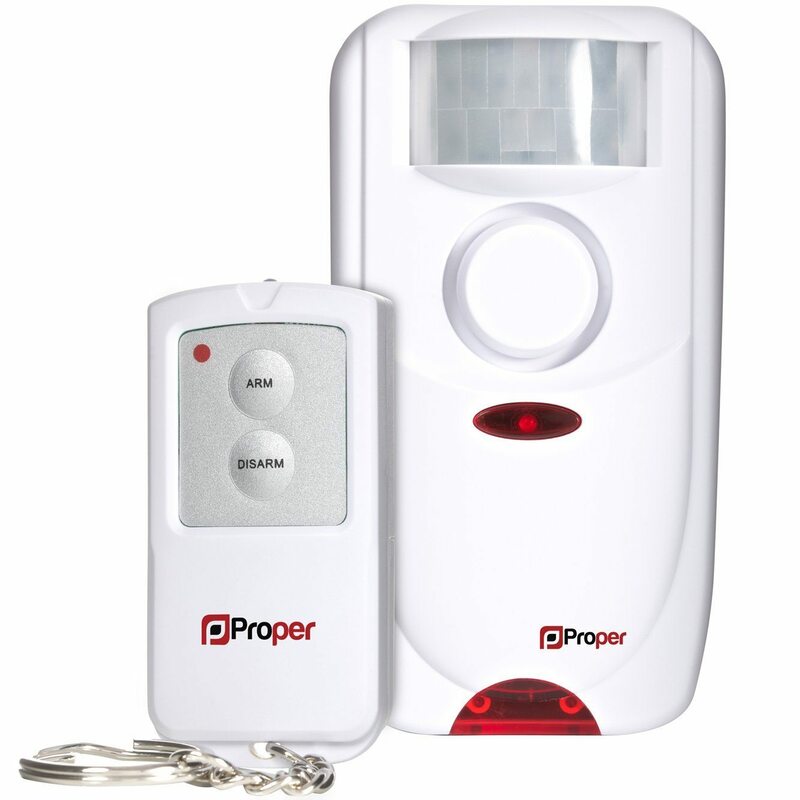 The kit includes a horn and two door/window sensors, two remote controls, and a PIR motion detector. There is also an SOS button on the remote control, which will set off the siren alarm and this is good if only kids or older people are at home, and don't want to confront the burglar. Another option that some buyers prefer is a good quality padlock that is also a siren. This one is great for garden sheds, but also useful for locking items like bicycles, scooters and even mobility scooters. 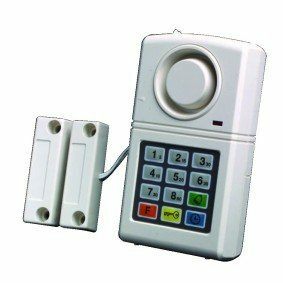 It is essentially a padlock, and you can choose to activate the alarm or not, depending on your circumstances. 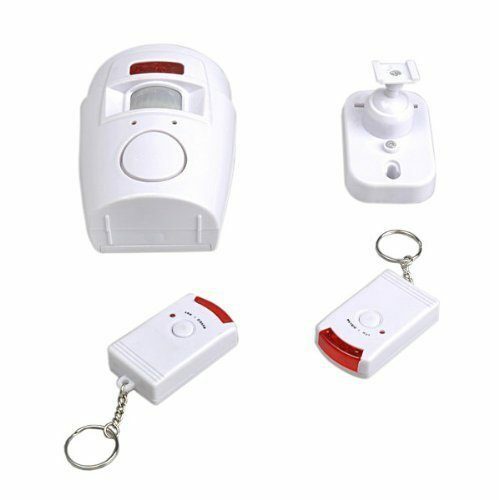 The reason most people will buy this type is of course to take advantage of the alarm. The Target TL023 High Security Heavy Duty Long Shackle Alarm Siren Padlock, is one of the highest buyer rated siren padlocks on the UK market right now. If you click on the image to the left, you will be taken to Amazon UK, where you can read more details. Target Locks are good quality, corrosion resistant and made with hardened steel. The manufacturer states that they are the only company on the market offering a 5 Year Product Replacement Warranty. If the barrel is touched or the shackle pressed down, the padlock sends out warning beeps. 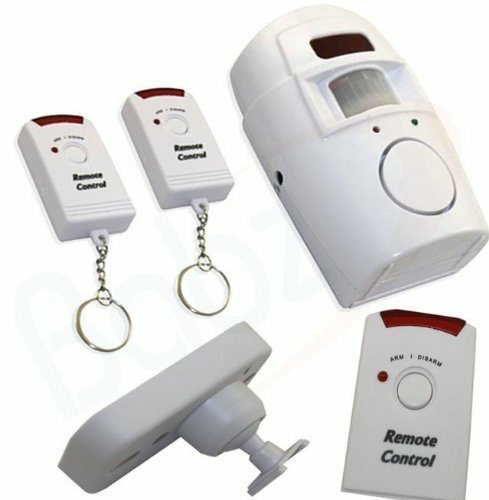 If tampering continues, the alarm will then sound in varying degrees further and the volume eill increase to a very loud 100 dB.